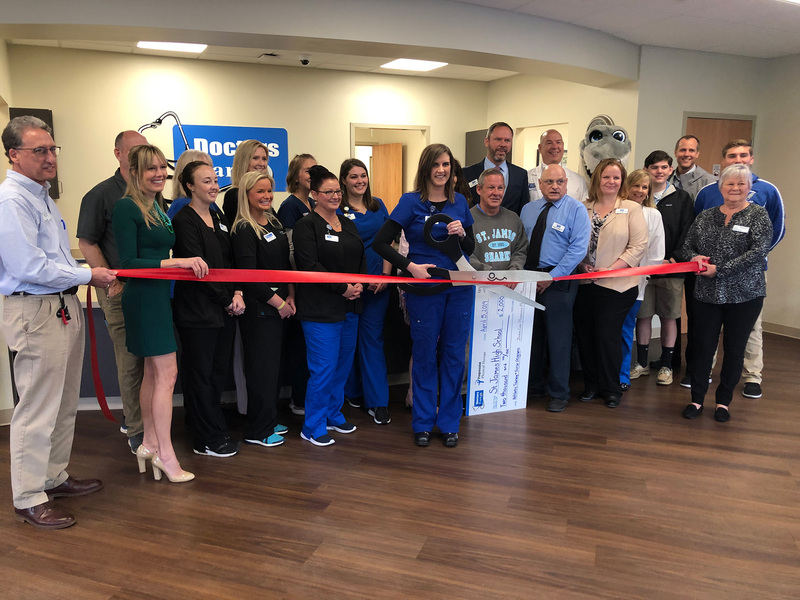 Murrells Inlet, S.C. – Doctors Care P.A., South Carolina’s largest urgent care company, held a ribbon cutting today to celebrate the opening of its newest urgent and family care center in Murrells Inlet. The state-of-the-art medical facility is located next to Bojangles’ on Highway 707. Doctors Care selected Murrells Inlet for its newest location because of the increased need for convenient access to health care services, seven days a week. This is the ninth Doctors Care location in the Grand Strand Region. According to Dr. Curtis Franke, president and chief medical officer of Doctors Care, the new location will enhance efforts to address the health care demands of the booming South Strand area. “For 38 years, our medical professionals have been dedicated to providing convenient, quality care to families and employers across South Carolina, and this newest Murrells Inlet location is an example of our long-term commitment to these values and the communities we’ve always served,” Franke said. As part of the ribbon cutting ceremony, a two thousand dollar check was presented to St. James High School, which is located less than three miles from the new Doctors Care location. 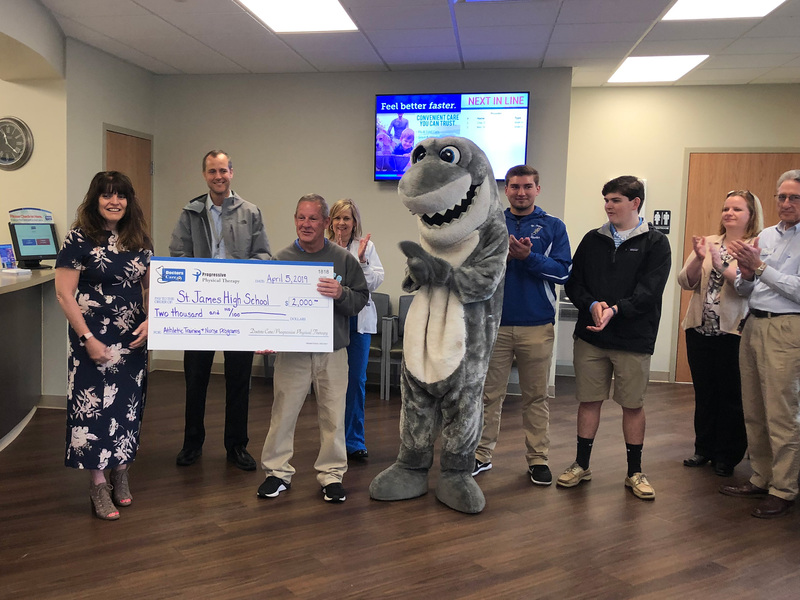 St. James’s athletic trainer, Bill Krauss, plus the high school mascot, Sharkie, was on hand to accept the check, and said part of the funds will be used for the school’s athletic equipment, plus funds will be allocated to the school nurse for medical supplies. Doctors Care Murrells Inlet has more than 4,300 square feet of space including eight exam rooms, trauma space, on-site laboratory and X-ray rooms, and spacious accommodations. The Progressive Physical Therapy location is its 24th in South Carolina, offering specialized treatment with certified physical therapists to help with injury recovery, rehabilitation and pain relief. Doctors Care hours of operation are Monday-Friday, 8 a.m. to 8 p.m., and Saturday-Sunday, 9 a.m. to 5 p.m. Progressive Physical Therapy’s hours of operation are Monday-Friday, 7:30 a.m. to 5:30 p.m.
Doctors Care urgent care, accredited by the Urgent Care Association, is a leading health care organization focused on delivering exceptional and convenient urgent care, family care and occupational health services. Its original center, opened in Columbia in 1981, was the first urgent care center in South Carolina. Now, Doctors Care is one of the largest urgent care companies in the United States. Its network of 55 locations continues to expand to serve patients with quality health care that is both convenient and affordable. All Doctors Care centers offer online check-in, flexible hours, on-site X-ray, laboratory and on-site prescriptions, occupational health, telehealth services and more. Visit DoctorsCare.com to learn more. Progressive Physical Therapy, founded in 1986, serves patients at 25 offices throughout South Carolina. Centers are staffed with certified, highly skilled therapists with experience and specialized training. The high standards of Progressive Physical Therapy make it one of the most respected practices in the state for advanced therapeutic care. Visit PPTaccess.com for more information. 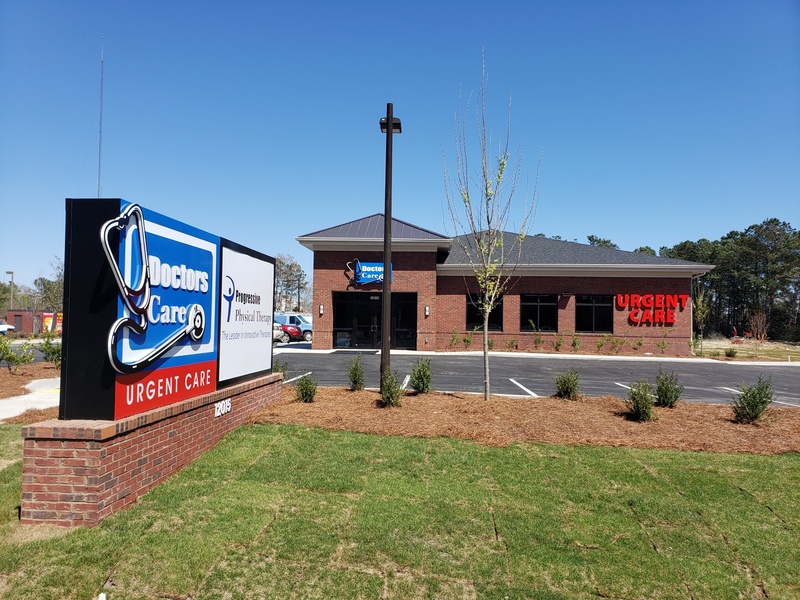 Murrells Inlet, S.C. –Doctors Care urgent care and Progressive Physical Therapy have opened their newest locations in Murrells Inlet to serve the South Strand community and beyond. Doctors Care Murrells Inlet is at 12015 Highway 707 (also known as Burgess Road). Progressive Physical Therapy, a Doctors Care sister company, is at the same location. 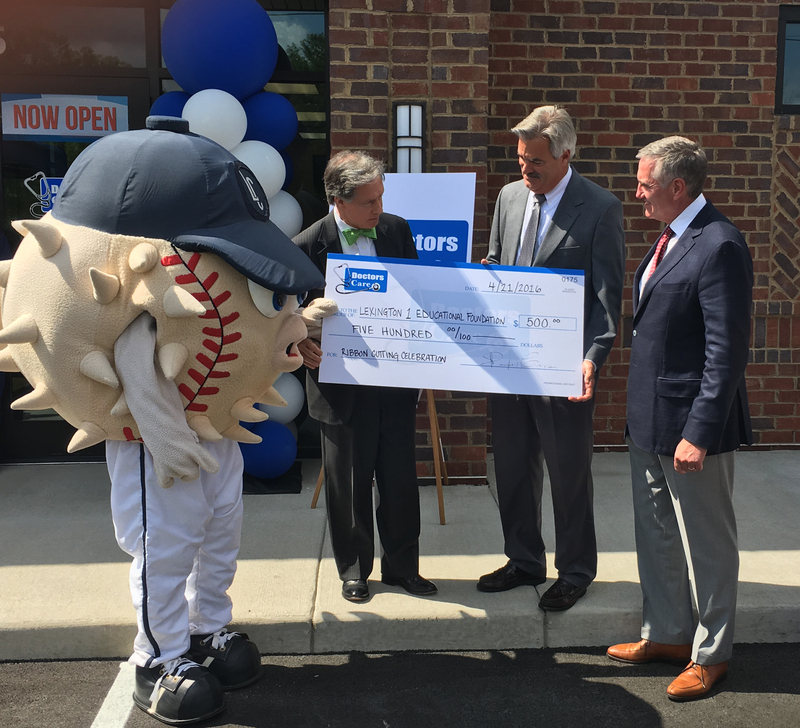 The new, state-of-the-art facilities are located on the corner of Highway 707 and Tournament Blvd., and the Wynbrooke subdivision, adjacent to Bojangles’. It’s an ideal location to serve this growing area with convenient access to urgent and family care, as well as advanced physical therapy services. About Doctors Care: Doctors Care P.A., founded in 1981, was the first minor emergency medical center in Columbia, S.C. Today, Doctors Care is a premier health care organization operating 54 clinics in South Carolina and one in Tennessee, proudly focused on delivering exceptional urgent care, family care, and occupational health care. Most locations are open evenings and weekends, do not require an appointment, and offer online check-in for added convenience. Visit DoctorsCare.com to learn more. 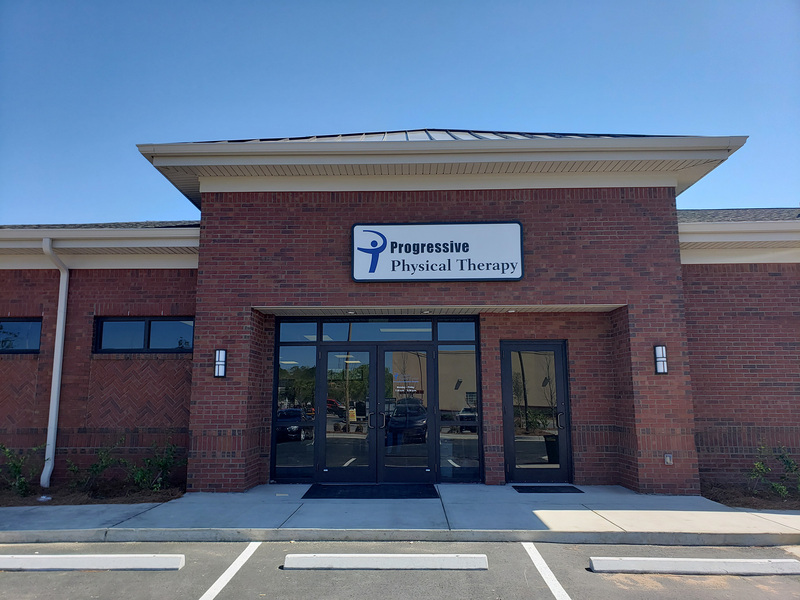 About Progressive Physical Therapy: Progressive Physical Therapy was founded over 29 years ago and serves patients at 23 offices throughout South Carolina. Centers are staffed with certified, highly skilled therapists with years of experience and specialized training. This expertise is what makes Progressive Physical Therapy among South Carolina’s most respected in the field.